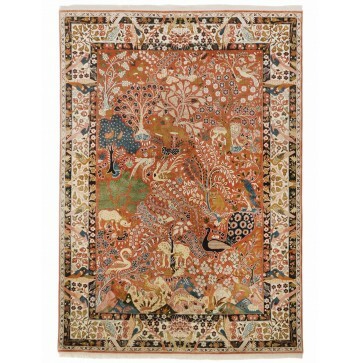 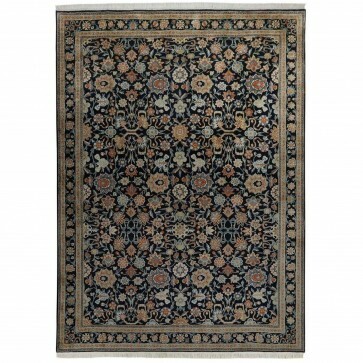 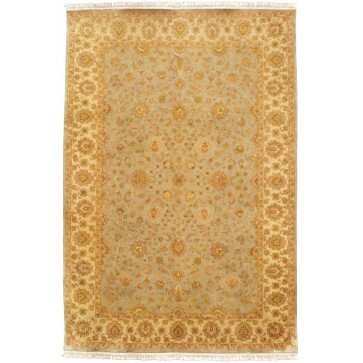 A Saruq design carpet with pure silk pile hand woven on a cotton foundation to 256 knots per square inch. 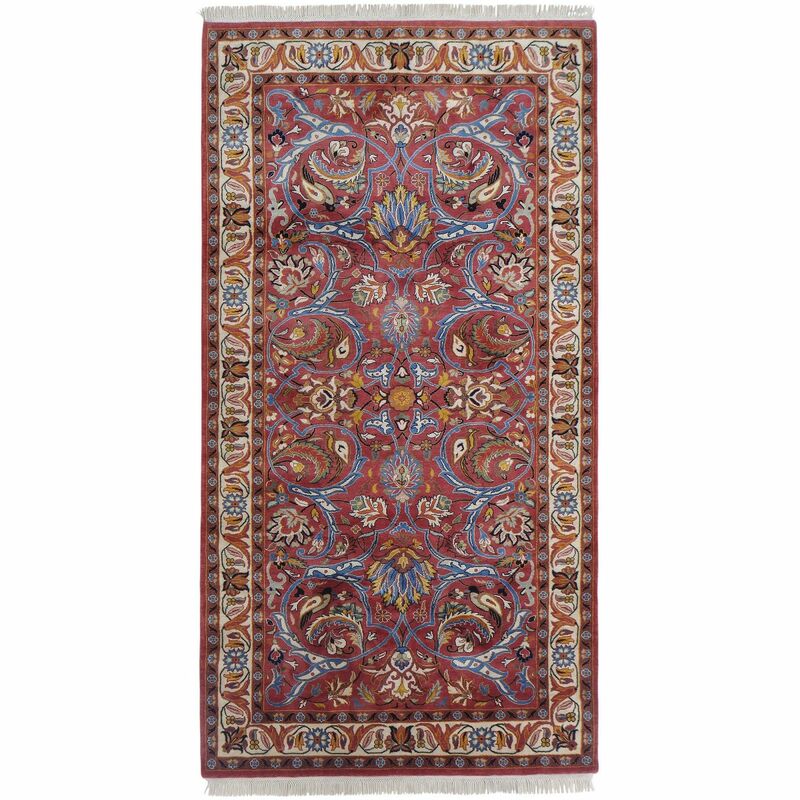 Saruq rugs originate from the village of Saruq in western Iran, one of the most prominent regions for silk weaving since the 19th century. 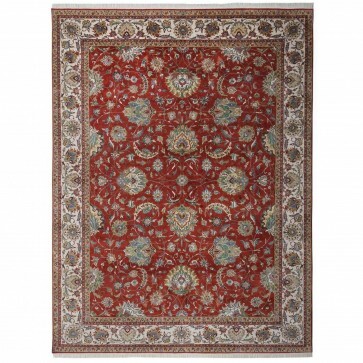 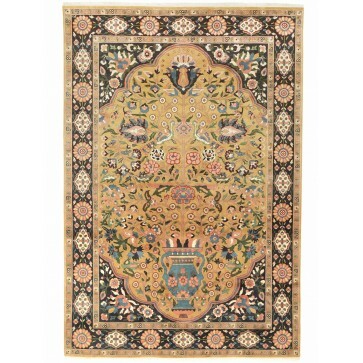 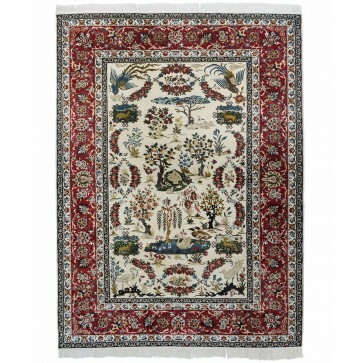 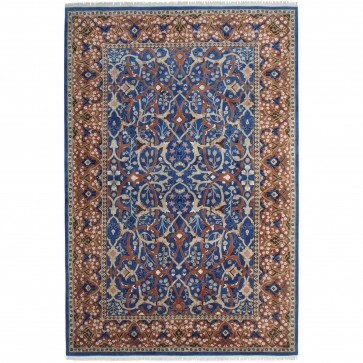 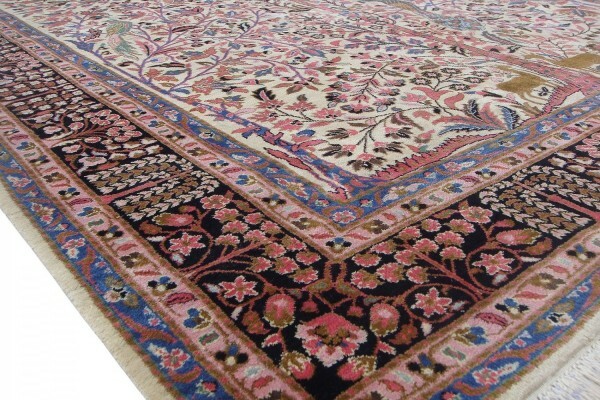 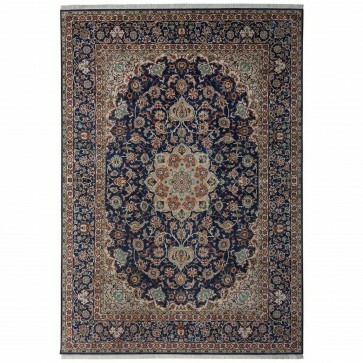 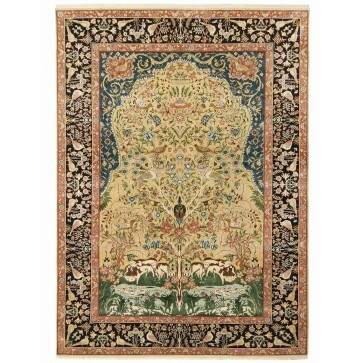 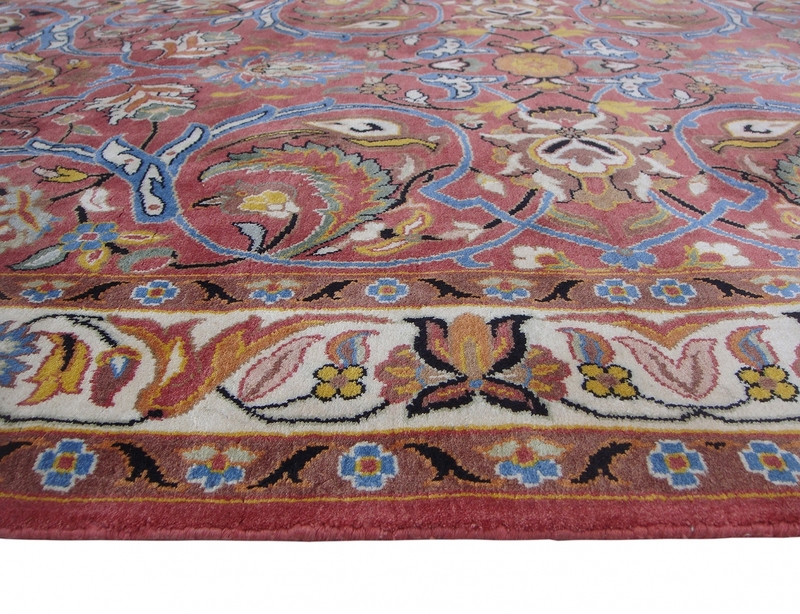 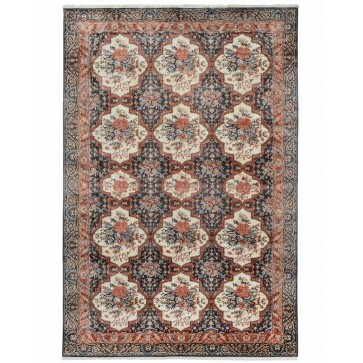 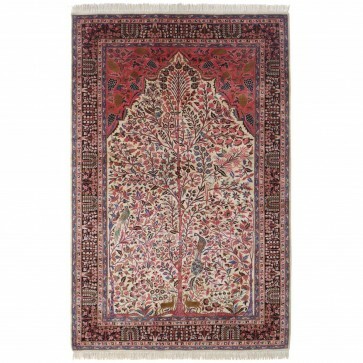 Internationally popular throughout the 20th century, Saruq carpets are identifiable by their intricate, arabesque floral patterns and combination of blue and red hues. 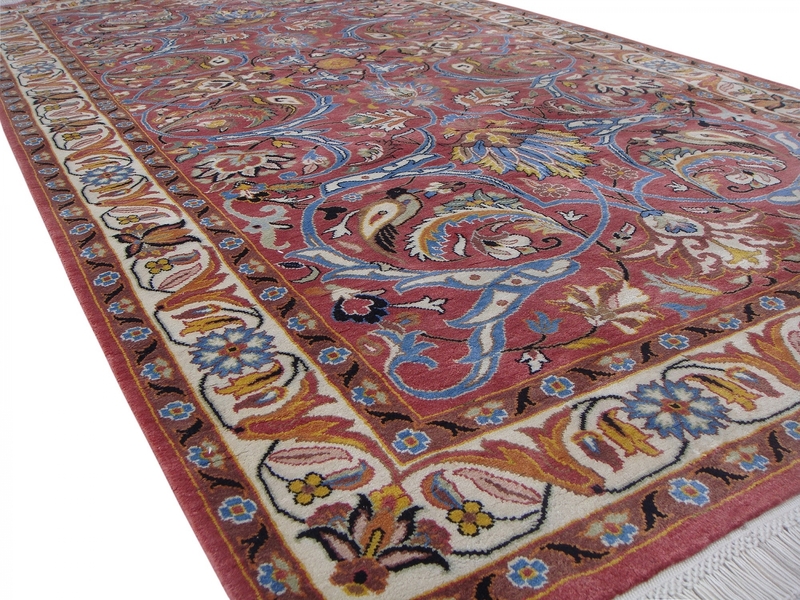 The original would have been woven in wool but this commission has a pure silk pile woven on a cotton foundation.